Last weekend I participated in my very 1st Triathlon and Ironman and it will be a life experience I will never forget. I did it in memory of my good friend Levente who passed away a week before. During the race I remembered the times we strategized and spoked about training, competing and swimming. We had a few openwater sessions together in the Donau, trying out wetsuits and just having fun swimming. It was also good to see him advance from not running to completing a few half marathons in his lifetime. During the race I remember the good times we shared in the office, on business trips and in private life. He will be missed. The race organization was awesome. I always wondered why Ironmans are so expensive and now I know and I feel it was value for money. The entire organization was perfect. The package with the race, including Gala dinner, Finisher shirt, gifts and most of all a secure environment to race and store your gear made it worthwhile. The day itself was rainy. Which was a bit scary on the bike, but it was wonderful for the run and swim. I joked in my head along the way that the race is not a Tri-athlon but Mono-athlon. One swimming event from the beginning to the end. The swim start was for me the most nerve racking. I never started in a big group and had no experience how to deal with it. I stood to the side at the start, but still I got bashed, swimmed over and kicked. But hey, that comes with the race and was not so bad. As long as you know, no one is doing it on purpose and I am sure I got my feet into someones ribs too. I struggled a bit with rhythm on the swim. The bilateral breathing was difficult to get into and I kept on breathing on one side. I think I did a bit of zig zag swimming during that time. I then settled on a breath twice on one side and then switch to the other. Which actually worked well. Will work it into my training from now. I stepped out of the water in 36 minutes, which was a big surprise for me. I thought I would do around 40 min. But now I know there is still some room of improvement here. I think I could bring it down at least another 4-6 minutes. One thing I need to work into my training is long continuous swimming. T1 was a 1st experience. I was so worried the night before that I would forget something in my bag. Putting on my shirt was a bit tough. But now I have learned the following lessons. Bodyglide your ankles and wrists before the race. Get a new singlet with a long zip that does not roll up and stick to your body like the bike shirt I had. Also I could improve the relaxing 6-7 minutes of changing to at least 4 min. T2 was ok. I changed to running, but again I am sure I can do it faster. 6-7 minutes has a big gap of improvement, which should come with experience. The run out I took it slow, I shut out my mind the 1st 3km and pushed through and reminded myself “the beginning will be hard but eventually you will find your running legs”. That is what I have read and researched and now I just need to experience it properly. The running legs did arrive. The run was good, except for some cramps I got in my stomach after each Pepsi stop. I am not a big fan of Pepsi and would change it for Coke any day. But hey someone has to be the big sponsor here. I think they could also dilute it a bit more. But the blame goes to the high fiber bread I ate the day before. D’oh, I should have seen it coming. I was able to fight through the cramps and still managed a good time of 1:41. Again I know myself and there is plenty of room to improve in the running part. I need to focus on more brick workouts and look at better nutrition for this one. I was trying to push for a sub 5 race in the end, but was not able to pull it through.I ended with 5:02. Which is really not bad for a 1st 70.3 Ironman. I know I can do it better and I am aware of where I can make improvements, which is the beauty of this sports. You learn so much about yourself, in the preparation to the race and in the race itself. All I can say is I love it and I can see how addicted it is. Lisa said the following. It is a Socially acceptable obsessive compulsive disorder. I like that. I don’t believe in fortune cookies, but hey it gave me a push in the right direction and I made the decision then and there to buy the bike and get started. Funny thing …. 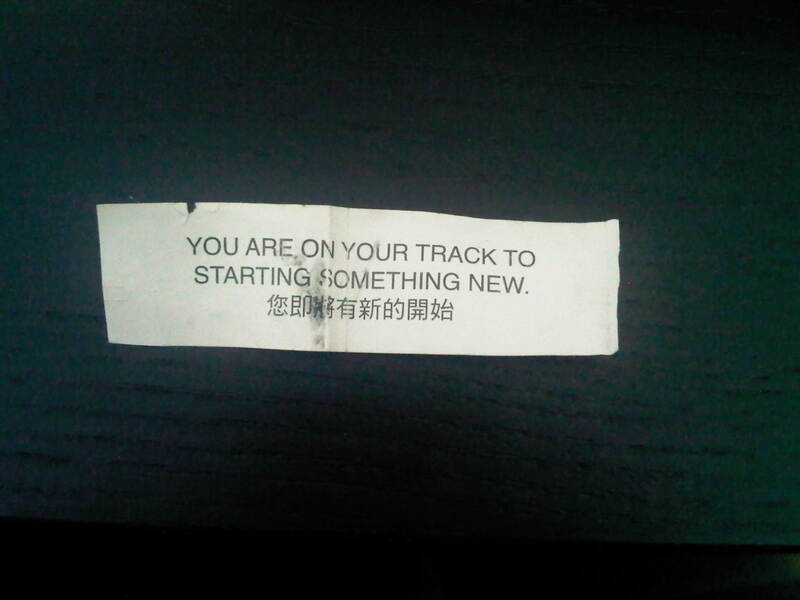 I ordered Chinese Take-away after the race when I was home Monday and in the package was a fortune cookie, which is a 1st. 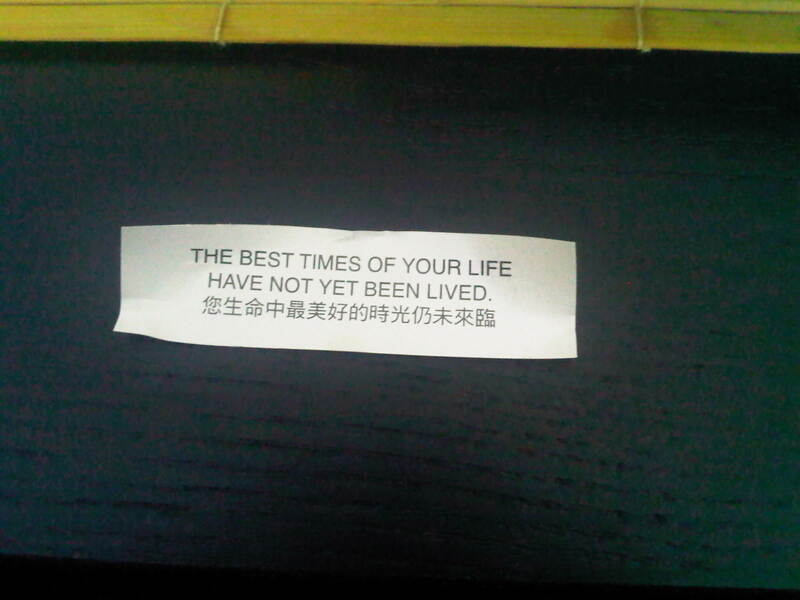 The take away never adds fortune cookies. And this is what it said. 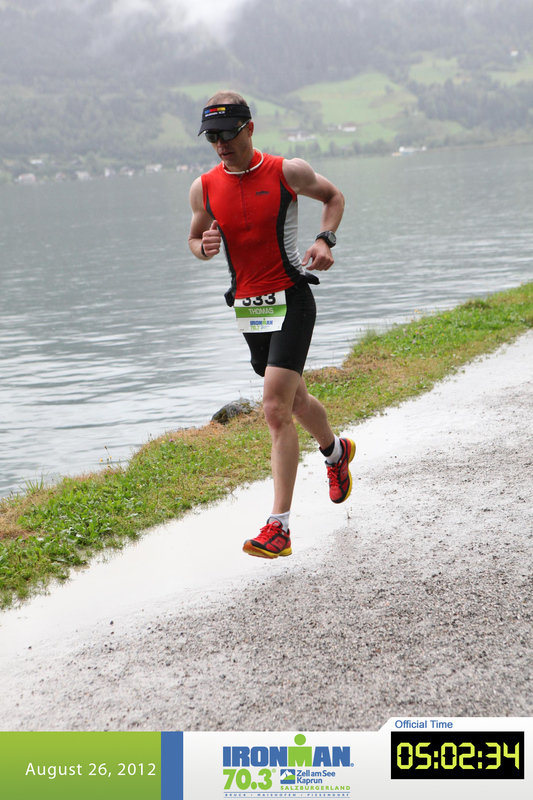 It gave me encouragement for Klagenfurt full Ironman next year and I am now searching for the in between race and the next preparation for the big one. I love this sport and rest in peace my good friend!!! This entry was posted in Race and tagged ironman, race, racing, triathlon. Bookmark the permalink.